The Chef's of Tampa Bay's Restaurant Week 2010! The Chef&apos;s of Tampa Bay&apos;s Restaurant Week 2010! Hey Tampa Bay, Alex here to tell you about the chef’s responsible for creating some of the fabulous dishes that will be featured during Tampa’s Restaurant Week. Tampa Bay is home to a long list of prestigious chefs, known for preparing a variety of fabulous food! Below is a list of a few that will be participating in Tampa’s Restaurant Week. Growing up in upstate New York, Kiel Lombardo watched his uncle and father dish out a nightly feast for their big Italian family. At the age of 15, Kiel took his first job as a prep cook at a local Italian bistro. He later went on to earn a degree in Culinary Arts and Hospitality Management at New Hampshire College, and now he is the Executive Chef at Roy’s Tampa. Kiel is responsible for overseeing the menu that features Hawaiian Fusion Cuisine. Jason Maddens left his studies in Aerospace Engineering at West Virginia University in 2003 to pursue a career in cooking. Upon graduation from Washington D.C.&apos;s prestigious L&apos; Academie de Cuisine, in Gaithersburg, Maryland, he began his training at 2941 Restaurant in Washington D. C, becoming a sous chef after two years. Leaving the D. C. area in 2007, his travels have taken him to every corner of the European continent, as well as his own country. Chef Madden’s newest tenure has begun at downtown Tampa’s well-know Jacksons Bistro, Bar & Sushi. A sous chef since April 2008, Chef Jason has recently assumed control of the 20,000 square foot facility as Executive Chef. As a young adult, New York native Marty Blitz owner and head chief, apprenticed under European-trained Master Chef Milos Cihelka at the Golden Mushroom, a well-known restaurant outside Detroit, through the prestigious American Culinary Federation. Blitz&apos;s career actually began though, at age 12 when he started working in his neighborhood Jewish delicatessen. Blitz has since spent his nearly 30 years in the industry expanding a culinary repertoire that now includes the Southeast’s many cultures and flavors. Under his guidance Mise en Place’ expanded both its catering business and its in-house capabilities growing from six-table diner in 1986 to its current evolution as a full-service restaurant seating up to 240 people and preparing as many as a 1,000 meals in an evening. Executive Chef, Gabriel Silva was born in Montevideo, Uruguay. He moved to South Florida where he attended Florida Culinary Institute in Palm Beach County and graduated at the top of his class in 1992. While in Palm Beach, Chef Gabriel worked as an Executive Sous Chef for 4 and 5 star hotels such as the Palm Beach Gardens Marriott, Sheraton City Place and The Breakers Hotel. Gabriel he joined the Palm team as Sous Chef in 2004 and was promoted to Executive Chef in January 2008. Fabrizio Schenardi, executive chef of the Tampa Bay fine dining restaurant Pelagia Trattoria, first honed his culinary and pastry skills while studying and training in Italy, where he learned the essence of Italian cuisine. A native of Rivoli, Italy, Schenardi incorporates flavors from his homeland into many of his most popular dishes at our Tampa Airport Restaurant. Diners enjoy his creativity daily at Pelagia Trattoria, a one-of-a-kind Tampa Bay fine dining experience that adjoins the Four Diamond- rated Renaissance Tampa Hotel International Plaza. Kory Foltz has been in the foodservice industry for over 15 years, five of which has been with Hyatt Corporation. Prior to accepting the position as Chef de Cuisine at Oystercatchers, his work at the Grand Hyatt Tampa has included Chef de Cuisine Petey Brown&apos;s, acting Banquet Chef, as well as working in every outlet of the hotel. Shane Schaibly is the Director of Food and Beverage for The Melting Pot restaurants. On the culinary side, Shane is responsible for overseeing the research and development and cost planning for all of The Melting Pot’s menu offerings. He creates and assists in the procurement of all new menu items for The Melting Pot’s signature Big Night Out menu, which changes every March and September and is loosely themed around a different region of the world each time. He works closely with The Melting Pot’s vendor partners and research and development chefs to ensure that the fondue chain is putting out more than exceptional food every time! Johnson, who has been at the helm of SideBern&apos;s since 2007, has been featured in USA Today, the Tampa Tribune, Boca Raton Magazine, Florida Living Magazine and was a finalist in the 2008 Copa Jerez Sherry Pairing Competition. At SideBern’s, Johnson focuses on serving guests products that are locally sources(within an hour and a half from the restaurant) and emphasizes seasonal, premium ingredients. Her prepares them using modern cooking techniques that highlight the ingredient’s inherent flavors and this is what continues to keep guests returning. John Saxton, Executive Chef at Urban Culinary Cuisine Café, has always had a passion for great food. John was once a Chef&apos;s Apprentice, learning from Chefs from around the world, at the infamous "Windows On The World" on the 107th Floor of the World Trade Center in NYC. He was asked by Barbara Smith to assist her in developing her first restaurant, B. Smith&apos;s, located on 8th Avenue in NYC. Johns extensive career and passion for food has led him to open Urban Culinary Cuisne Café. Known simply as “Chef” by the locals, his experience has influenced the development of his own signature menu ranging from “u[scale cuisine” to “southern comfort food” to very sensual desserts. Daniel Desmond, Executive Chef at Saddlebrook Resort since 1998, is responsible for all resort restaurants, menu creation, nutritional needs for the resort&apos;s sports program and private school as well as a staff of over 70 people. Chef Daniel is heavily involved in all aspects of the resort’s signature restaurant. Dempsey’s Steak House, Tropics Restaurant and Lounge, The Poolside Café and Bar, The Coffee Bar, the resorts Pasty Shop, as well as the Banquet Kitchen, which prepares all banquet meals for meeting groups as well as social events at Saddlebrook. The Vinoy Executive Chef graduated from the Kendall Culinary School in Chicago and held several culinary positions throughout the Chicago area before joining the Vinoy in May of 1995. As the Executive Chef of the award-winning historic hotel. Mark oversees the Vinoy&apos;s five superior restaurants, each featuring its own unique ambiance and cuisine, from the resort&apos;s signature dining room of Marchand&apos;s Bar & Grill to the more casual Alfresco. Also responsible for the resort&apos;s award-winning banquet department, Chef Heimann hosts extravagant gatherings with an imaginative culinary style that has become a Vinoy trademark. After discovering a passion for cooking while watching his grandmother growing up, Jonathan Luft has amassed over 15 years of experience cooking in luxury resorts and properties across the country. As Executive Chef at InterContinental Tampa, Luft has elevated the level of fine dining at one of Tampa’s best steak houses and the city’s newest luxury hotel. He came to Tampa to take the helm of Shula’s Steak House and InterContinental Tampa after the restaurant and hotel underwent an $18 million dollar revitalization. Luft has enjoyed re-establishing Shula’s as an area favorite serving specialties such as fresh seafood, heavenly desserts and the Shula’s Cite, which less than 2% of all steaks qualify for. Geraldo is the Corporate Chef for the Columbia Restaurant Group. 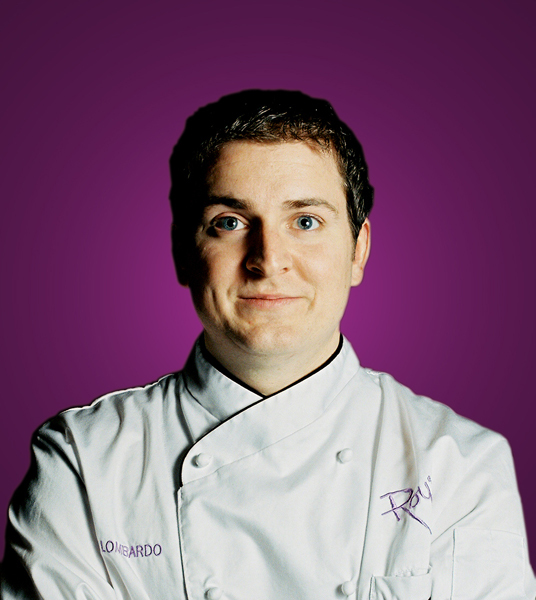 He is based out of the flagship Columbia Restaurant in Tampa&apos;s Historic District of Ybor City. He was named Corporate Chef in 2005, and works closely with all the Columbia Restaurants to assure that the family&apos;s century old recipes, ingredients and food meet Columbia Restaurant&apos;s high standards while at the same time creating new recipes and keeping up with the food trends. Executive Chef Ben Bowman attended the Columbus College of Art and Design from 1996-2000 and has 15 years of experience in the restaurant business under his belt. His journey includes eight years with Cameron Mitchell Restaurants of Columbus, Ohio. Executive Chef Kelly Marshall has been cooking professionally for fifteen years and has spent five of those years at the Wyndham Tampa Westshore (formerly known as the Quorum Hotel Tampa) overseeing the Blue Water Grill restaurant and catering operations for their 12,000 square feet of banquet space. Now that you know who is responsible for cooking your food at some of Tampa’s local restaurants, why don’t you go give it a try during Tampa Bay&apos;s Restaurant Week 2010, which will be in Tampa from August 29- September 6, 2010. Check back often for updates on Tampa Bay dining and where to eat in Tampa Bay!